Move over Westminster because rescue dogs have just been put into the spotlight with their very own show. Premiering on the Hallmark Channel on Monday, 19th February 2018 – the American Rescue Dog Show! I’m not sure we will ever get this in New Zealand (possibly through Netflix but it isn’t there yet)…but it is great to see Rescue Dogs being promoted to the public. Mark Vette, New Zealand-based animal training and behaviorist, has done it again. Rescue dogs are great dogs with depths of intelligence and emotion that we have only begun to explore. In my local community of Christchurch, New Zealand, I am sponsoring a community viewing of The Champions, a documentary by Darcy Dennett. Proceeds will go to four local dog charities: K9 Rescue and Rehoming, SPCA Canterbury, Dogwatch and Christchurch Bull Breed Rescue. This film, which follows the story of some of the dogs rescued from Michael Vick’s Bad Newz Kennels, is a good news story. It makes you think about recovery and a dog’s capacity to endure and survive. Since I am very familiar with the work of the Best Friends Animal Society, it is also great to see the work done by them and BADRAP in San Francisco in finding these dogs homes. I commend this film to you and encourage you to see it for yourselves. Michael Vick – a time for forgiveness? In this video, the band OK Go is featured with 14 rescue dogs. The dogs were trained by firm Talented Animals. On YouTube, you’ll also find videos of the production and behind-the-scenes takes. If you buy any of the featured items between 15 October and 15 November, 10% of the proceeds will be donated to the ASPCA. The internet is now the preferred resource for dog owners looking for information. But did you realize the creative ways people are using the medium? a) Hope for Paws, a charitable organization involved in animal rescue, has compiled beautiful photos of their rescue dogs into a book. With every download of the book, Hope for Paws earns 10 cents. It all adds up. Why not click today? b) Author Colleen MacDougall is publishing the first ten chapters of her book, The Patron Saint of Dogs, online – one chapter at a time. I’m really enjoying reading the book and can’t wait for the email that lets me know another chapter is ready for reading. You can visit Colleen’s website here to join her mailing list. I’m so proud of the SPCA Auckland (where I used to volunteer, when I lived up that way) for its imaginative holiday promotion for rescue dogs. The SPCA teamed up with expert dog trainers to train three SPCA rescue dogs to drive a car – a Mini to be exact. Monty, Porter and Ginny went through extensive training before being put behind the wheel of the Mini. Last night, on national television, Monty drove himself around a go-cart track. Porter took on the dubious task of having the reporter accompany him on his drive – and I think he suffered the nerves for it because he took a turn rather widely. Monty, Porter and Ginny prove that rescue dogs are intelligent and trainable. If considering adopting a dog this Christmas, make sure you visit your local SPCA and rescue organisations. 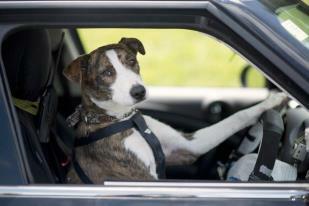 You can read more about New Zealand’s driving dogs at www.drivingdogs.co.nz (which brings you to their Facebook page). Copyright © Kathleen Crisley, The Balanced Dog Ltd and DoggyMom.com, 2010-2019. Unauthorized use and/or duplication of this material without express and written permission from the author is strictly prohibited. 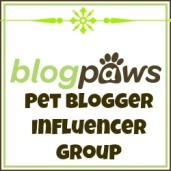 Some attributed content, excerpts and links may be used, provided that full and clear credit is given to Kathleen Crisley, DoggyMom.com with specific direction to the original content. Where information has been sourced from a third party, please quote the original source.